Steve checks in . . . The holidays are over. The tax year is over. The December deal-rush at the office is over. Time to go head-down again on the film! Sequences are beginning to come together. And I’m reviewing some of the older sequences and realizing that I’m going to need to cut rather savagely to keep the pacing. During principal photography, every moment looked precious in the viewfinder. And, frankly, most of them were. But I’m supposed to be more pro now and really boil down the story to its essence so we get a movie that even non-pilots will like. It’s kind of interesting, having watched a lot of documentaries over the last couple of years and begun to develop my own sensibilities about pacing and other elements. I purposely watched a number of documentaries about topics in which I was only tangentially interested to try to get a sense of how someone outside the core audience would feel about the edit. I watched Game Over: Kasparov and the Machine (chess) this weekend and, earlier this year, stuff like Special When Lit (pinball) , Big Rig (truckers), and Indie Game (video game developers). Game Over was way too slow and discontinuous. Big Rig didn’t do anything to make me care about the drivers. Indie Game was great because it was well-paced and I cared about the protagonists, even though I don’t give a hoot about video games. I need to cut. But this is the fun part. And I’m having fun. It’ll get hard again soon, I’m sure, but I’m actually stitching stuff together that’s really beginning to look like a movie and I can see where it’s going. Quick update on the Studio 360 thing. If you listen to the show that aired this past weekend (featuring Culture Shock 1913), the teaser for next week says that the show will feature some of those who have a project to complete in 2013. The teaser has audio snippets from some of those who called in to talk about their projects. The last voice? The one that says “. 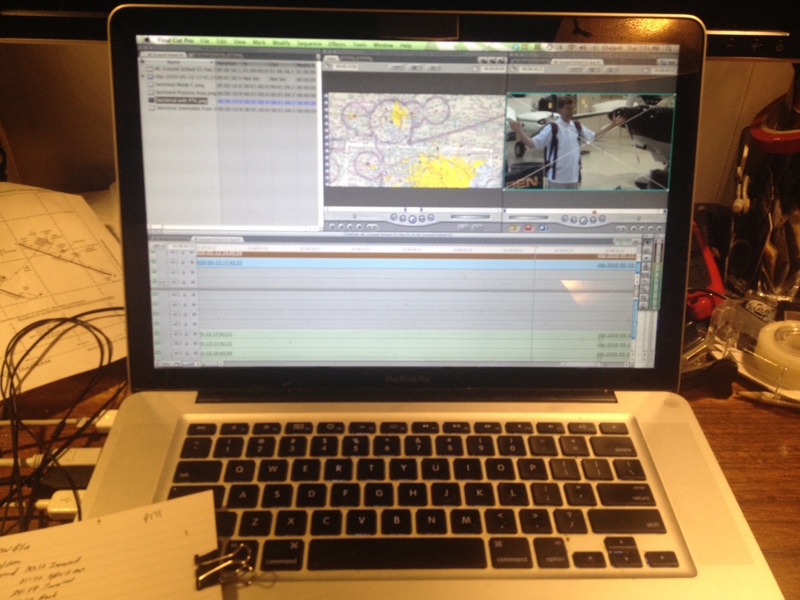 . . and I’m resolving to get it done in 2013?” That’s your humble producer/director/editor/bottle-washer! It’s from the pitch that I made a week or so ago. No idea whether the show will include anything about Acro Camp. It seems like the featured folks would be interviewed, the show drops on Friday, and I haven’t received a call. But who knows? I really respect the show and it even inspired me to make a run at a MacDowell fellowship. Any mention – a piece of the recorded pitch, an interview, whatever – would be great. And no mention at all is also fine. But it’s perfectly fine to be as pumped as I am to have spent two seconds in the ears of the Studio 360 audience. Fanboy? Yeah, I admit it.